Amy Bachman was previously the Director of Food and Merchandise for The Madison Square Garden Company at Radio City Music Hall. Amy has been certified as a TEAM trainer since 2014 and has certified more than 700 employees in the TEAM program. 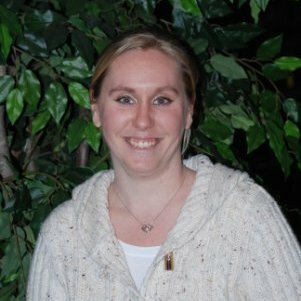 Amy became a TEAM Master Trainer in February of 2016. 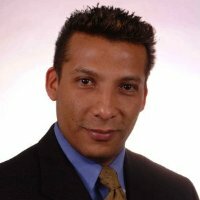 Gerald Barajas is a long-time Master Trainer based in Denver, CO. Gerald has been certified as a TEAM trainer since 2001 and has certified more than 12,200 employees in the TEAM program. Gerald became a TEAM Master Trainer in December of 2005. Jennifer Bingham-May, PHR is the Human Resources Manager for HMSHost International at the Minneapolis-St. Paul International Airport. Jennifer previously was the Human Resources Manager for Aramark at 3M World Headquarters in Minneapolis, MN. Jennifer has been certified as a TEAM trainer since 2007 and has certified over 1,400 employees in the TEAM program. 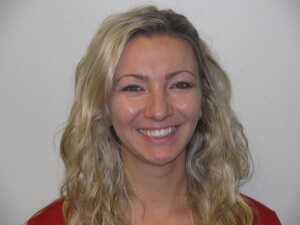 Jennifer became a TEAM Master Trainer in December of 2009. 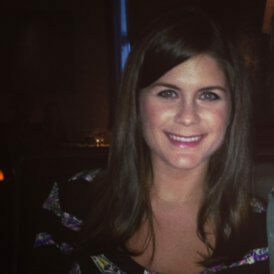 Katie Bishop is the Director of Human Resources for The Grand Geneva and has been a TEAM trainer since April of 2004. 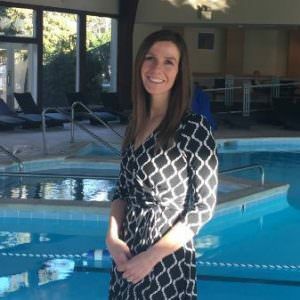 Before her move to the resort industry in 2015, Katie was the Human Resources Manager for Delaware North Sportservice at Miller Park in Milwaukee, WI. She was responsible for training all employees and volunteers with Sportservice and has certified over 3,300 people. Katie became a Master Trainer in November of 2006. 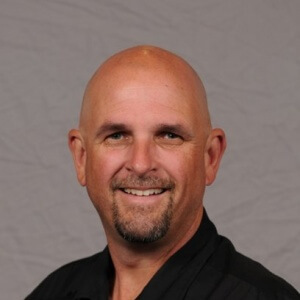 George Cunningham is Chief Operating Officer for Rose Bowl Operating Company where he oversees the day to day and event day operations of the Rose Bowl Stadium as well as manages client relations, maintain and grow vendor relationships, and scout and book new events. Prior to taking his position with Rose Bowl, George worked as a Branch Manager for Contemporary Services Corporation. George became a TEAM Trainer in May of 2011, has been a Master Trainer since May of 2012 and has certified more than 170 employees. Marie Eslick is the Human Resources Manager for Delaware North Sportservice at Progressive Field in Cleveland, OH, and has been a TEAM trainer since March of 2001. Marie is an essential member of the team that is responsible for training all employees and volunteers with Sportservice and has certified over 6,100 people. Marie became a Master Trainer in July of 2004. Leonard Faulknor is with Aramark at the Santa Clara Convention Center. Leonard became a TEAM Trainer in 2004 and has trained over 1,200 concessions and premium services employees as well as many NPO groups. Leonard became a Master Trainer in March of 2009. 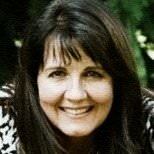 Susan Herold is the Assistant Director of Human Resources for The Grand Geneva. 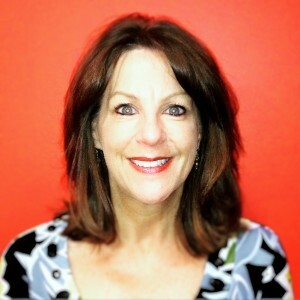 Susan was previously with the Milwaukee World Festival and Delaware North Sportservice at Miller Park and Target Field. She has certified more than 1,500 employees in TEAM’s alcohol management program since she became a TEAM trainer in November of 2006. Susan became a Master Trainer in July of 2008. Andy Konkle is the Director of Operations for Levy Restaurants at the Cleveland Convention Center. Andy has been a TEAM trainer since January of 2008 and a Master Trainer since May of 2008. Andy has certified over 500 people. Billy Langenstein is the Director of Security Services and Investigation for the National Football League. Billy was previously the Director of Event Services for SMG at U.S. Bank Stadium, home of the Minnesota Vikings. Billy become a certified TEAM trainer in 2013 and a Master Trainer in 2016. Billy has certified more than 500 people. Vicki Malko is the former Assistant Director of Special Events at MetLife Stadium, where she ensured that fans coming to see the Giants, the Jets or Super Bowl XLVIII all had a positive experience. Vicki has certified more than 2,800 people since becoming a trainer in January 2012. She became a Master Trainer in April 2014. 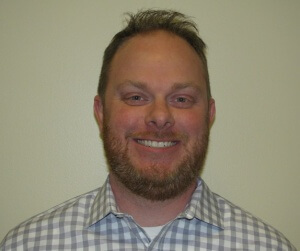 Randy Mayne is the Assistant General Manager for Centennial Management at the Maverik Center in West Valley City, UT, whose primary tenant is the Utah Grizzlies of the American Hockey League. Randy is responsible for all “front of house” staff for all events including concerts, sporting events, corporate functions, and even some of the 2002 Winter Olympic events. Randy became a trainer in 2002 and a Master Trainer in 2003. Randy has certified over 700 people. Emily Molino works as the Premium Food and Beverage Manager for Legends at the Golden 1 Center in Sacramento, CA. Emily become a TEAM trainer in 2008 and a Master Trainer in 2015. She has certified more than 1,400 people. Rishi Nigam is the Chief Operating Officer for Crews Enterprises, which provides concessions to several international airports. Rishi was previously the Vice President for Americrown, a division of the International Speedway Corporation. Rishi become a TEAM trainer in 2011 and a Master Trainer in 2016. He has certified more than 200 people. 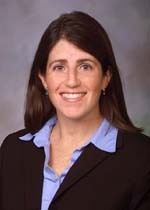 Jill joined the TEAM Coalition as executive director in the spring of 2002. She has served as a master trainer since 2004. In that time she has led 62 Instructor Development Program (IDP) workshops and certified over 2,000 trainers. She also conducts TEAM training at the employee level for various organizations and facilities from professional sports to college venues. Jill has certified more than 4,000 employees and non-profit volunteers. 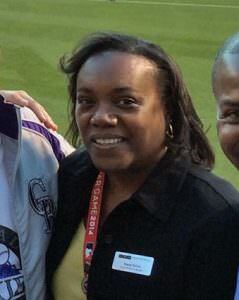 Tina Rogers is the Human Resources Assistant Manager for Delaware North Sportservice at Miller Park in Milwaukee, WI. Tina has been certified as a TEAM trainer since 2014 and has trained over 800 employees in the TEAM program. Tina became a TEAM Master Trainer in January of 2017. 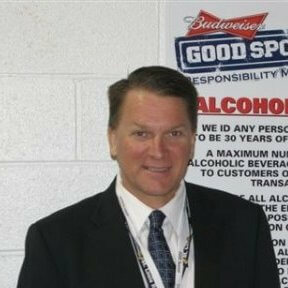 Charles Rousey is the General Manager for Spectra at the Scope Arena in Norfolk, VA. He previously managed three venues across three states: Memphis Motorsports Park in Tennessee, Augusta Entertainment Complex in Georgia and the Birmingham-Jefferson Convention Complex in Alabama. He has also managed concessions at his alma mater, Indiana University. Charles was certified as a TEAM Trainer in 2011 and became a Master Trainer in 2014. Charles has certified 180 of his staff. 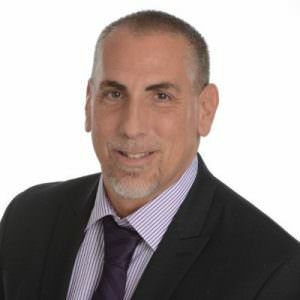 Jay Satenspiel is the Regional Vice President for Spectra Venue Management and Food Services & Hospitality in Oakland, CA. In his career, Jay has served as food and beverage General Manager for minor league and MLB Spring Training ballparks, Director of Operations for a NASCAR track and Director of Concessions for an MLB ballpark as well as for an NFL stadium. 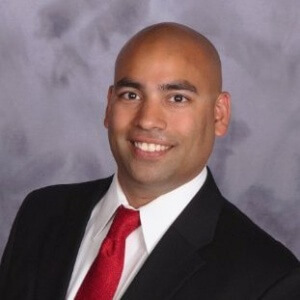 Jay has been a certified TEAM trainer since 2007 and has trained over 600 employees. Jay became a TEAM Master Trainer in July of 2013. Tom Schlaker is the Director of Operations for Delaware North Sportservice at Busch Stadium, home of the St. Louis Cardinals. Tom has been instrumental in both TEAM training and the designated driver program implementation at Busch Stadium. Tom became a trainer in 2007 and a Master Trainer in 2011. He has certified 250 stadium employees. 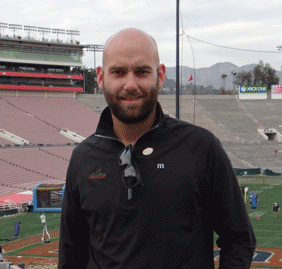 Aaron Schmitt is the Director of Operations for S.A.F.E. Management at the Mercedes-Benz Stadium in Atlanta. Aaron has certified over 6,300 event staff and continually promotes responsible alcohol management practices during events. 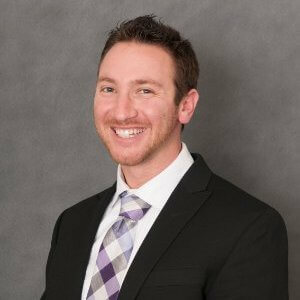 Aaron has been certified as a TEAM trainer since 2006 and became a TEAM Master Trainer in April of 2007. 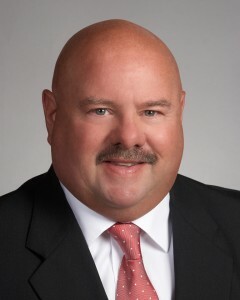 Tim Schmitt is the Security Manager for the Buffalo Sabres as well as the Branch Manager for Contemporary Services Corporation in Buffalo, New York. Tim has been certified as a TEAM trainer since 2007 and has trained over 1,900 employees in the TEAM program. Tim became a TEAM Master Trainer in August of 2012. 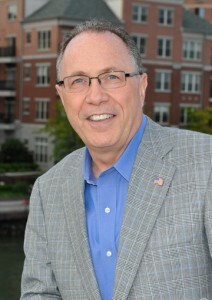 Bill Squires is a consultant to the New York Football Giants. He is the liaison between the Giants organization and the MetLife Stadium management team on all operational matters. MetLife Stadium is the only facility in the National Football League that hosts two NFL teams. Bill attended one of the first training sessions while working for the New York Yankees in May, 1987. Bill has been a TEAM Master Trainer since January of 2000 and has trained more than 600 trainers and 600 employees. Julie Taylor is the Senior Director of Guest Services and Diamond Suites for the Chicago White Sox. Julie has played an active role in the development of the training curriculum, and has been a TEAM Master Trainer since November of 1998. Julie has trained over 6,200 employees at Guaranteed Rate Field. 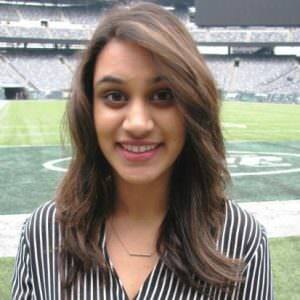 Sadaf Usmani is the Guest Services Manager for MetLife Stadium Company in East Rutherford, NJ. Sadaf has been a TEAM trainer since January of 2015 and has trained over 1,700 employees. Sadaf became a Master Trainer in January of 2017. 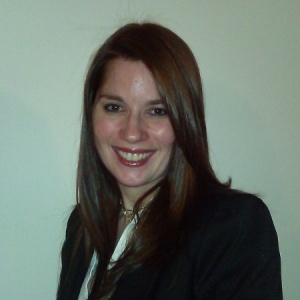 Leah Verona is a Learning and Development Manager for Aramark in Nashville, TN. 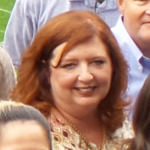 She was previously Human Resources Manager for Aramark at Raymond James Stadium in Tampa, FL. In 2013, she played a significant role in the stadium’s transition to Aramark, hiring more than 500 new employees, recruiting 50 new volunteer groups, and certifying 2,404 people in TEAM training in one year. That was enough for Leah to claim the title of top TEAM trainer in 2013. Leah has trained more than 5,700 participants overall since becoming a trainer in February 2012. She became a Master Trainer in February 2014. Anne Wheat is the Director of Guest Services for MetLife Stadium, home of the New York Giants and New York Jets, and has been a TEAM trainer since January 2000. At MetLife Stadium, Anne addresses guest concerns, trains all seasonal staff and is responsible for a guest services staff more than 650 people strong all while promoting the message of responsibility. 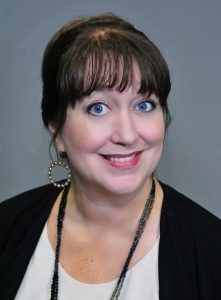 Anne’s career spans over 15 years including her time at the Chicago White Sox, professional theater and retail stores. Anne became a TEAM Master Trainer in May of 2005 and has certified more then 7,600 employees. Roger Zouhar is the Internal Operation Manager for Elite. He is responsible for internal corporate operations as well as training of Elite staff working for the San Diego Padres at Petco Park and event staff at San Diego State University in San Diego, California. He is also training staff working for the Miami Dolphins and Miami Hurricanes at Hard Rock Stadium in South Florida. Roger has been a TEAM trainer since July of 2008 and has trained over 2,900 security and operations employees. Roger became a Master Trainer in August of 2012.